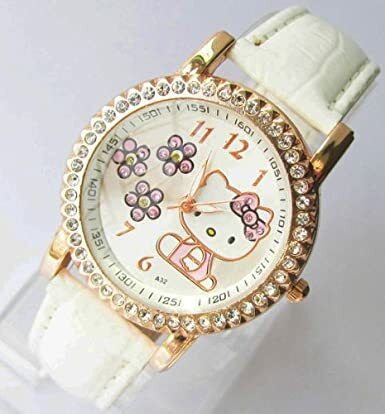 Hello Kitty Large Face Quartz Watch with Hello Kitty Pouch now is on sale for $5.5 with free shipping. There are several color band for selection. Very good reviews. 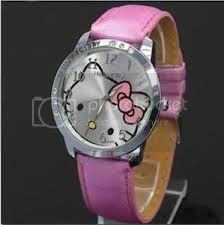 Nice gift for the hello kitty's fan. Works great, it's easy to read, and it is cute too! 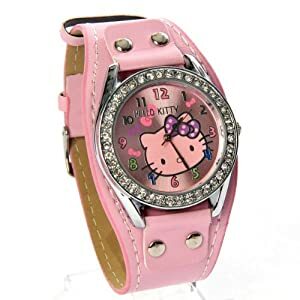 This hello kitty watch now is priced only for $4.49 with free shipping, great value, add it to your Christmas gift list. 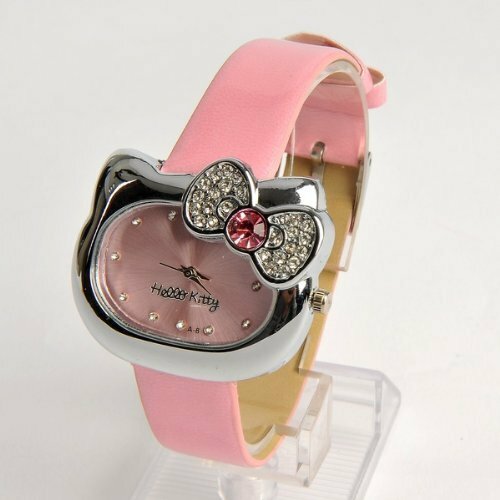 Hello Kitty Crystal Bangle Bracelet With bonus Kitty Necklace now is selling for only $12.99 (reg. $59.99) with free shipping. 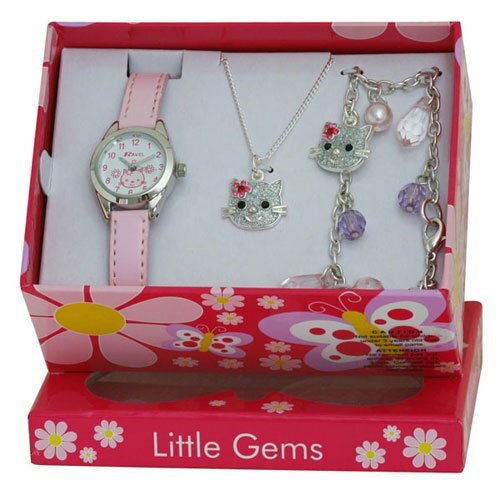 the set comes with gift box. 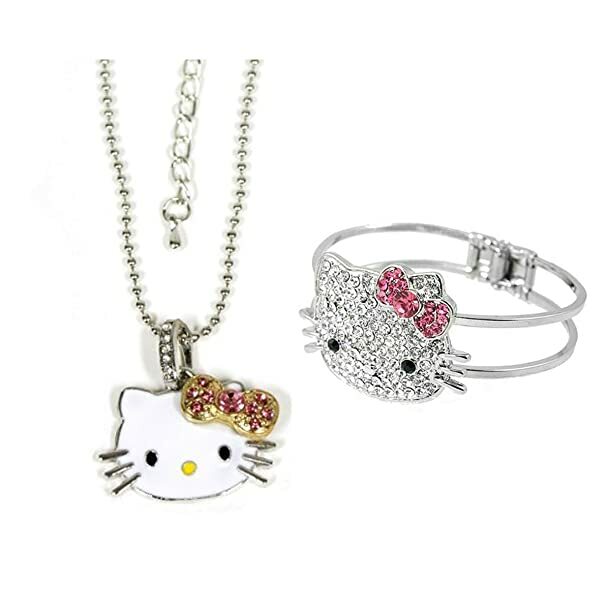 Special Promotion: Comes with a Kitty necklace along with the bangle bracelet. Offer for a limited time only! 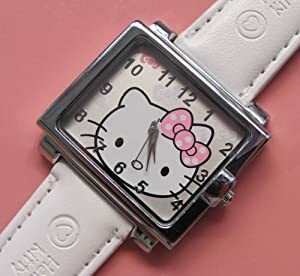 Unique Square Hello Kitty Wrist Watch Girls Gift now is only selling for $4.89 with free shipping. 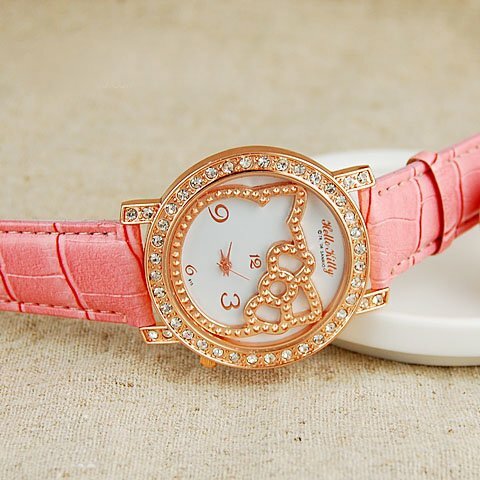 Very cute watch for girls. 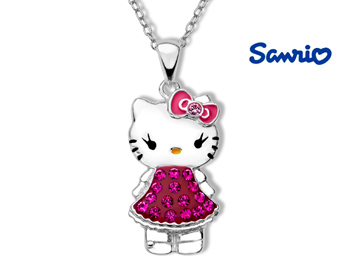 Hello Kitty Pendant with Pink Swarovshi Crystal in Sterling Silver Jewelry.com 这个hello kitty 的项链非常cute， 镀银加施华洛世奇的粉色水晶，镀银的18寸链子。 原价$99, 打折后$49 with free shipping. 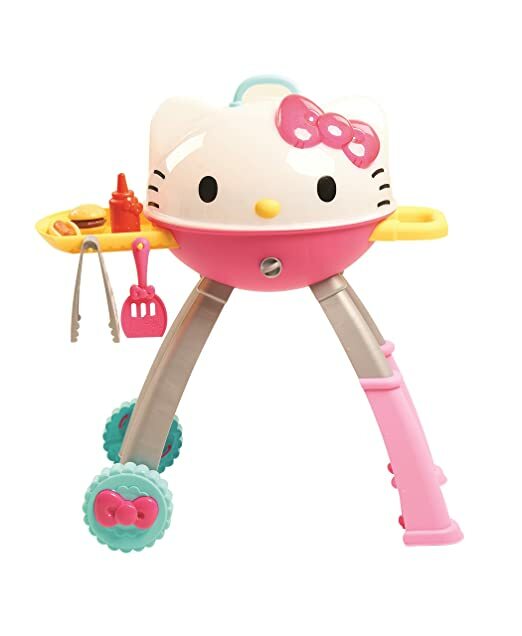 如果你家里面有Hello kitty 的 little fans 的话， Amazon 现在 this Hello Kitty Grill 降价后 for $23.37 (regularly $39.99). This grill stands over 25″ tall, features lights and sounds and comes with ketchup, tongs, burgers, hotdogs, buns and more!